It looks like even though Kenya Moore is no longer part of the RHOA cast, she still somehow manages to start drama on the show. 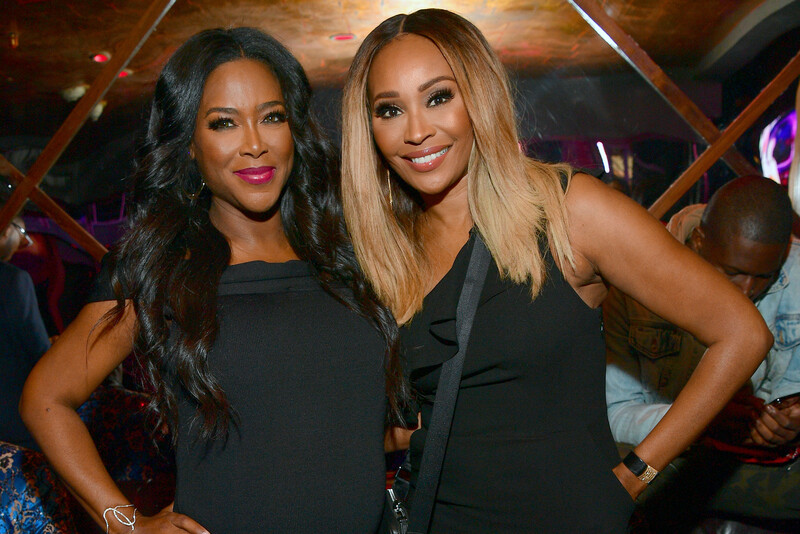 This time, she managed to do it by stopping by Cynthia Bailey’s party, featured during the season finale! The new mother was well aware of what she was doing. This is what a source close to her tells HollywoodLife, at least. Kenya also told Cynthia she wasn’t going to come since she knew the RHOA cameras would be there to capture the whole thing. But, as you know, she showed up anyway. As for Cynthia, the source explained that she does not understand why NeNe feels so betrayed. It is not her business what kind of relationship the two have, and Cynthia is not about to pick sides – as far as she is concerned, both are her friends, so she naturally wanted them both at the party.